The official website of the 21 Turtle Creek Condominium Association. 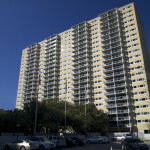 Welcome to 21 Turtle Creek Condominiums, one of Dallas’ first residential high-rises in the heart of Turtle Creek. Turtle Creek is among the most upscale neighborhoods in Dallas. The residents of 21 enjoy easy access to the best that Dallas has to offer in the arts, entertainment, and shopping.